PLAINFIELD - Anna ( nee Mieszkalski ) Bozek, 97, passed away peacefully on Monday, May 15, 2017 at AristaCare at Norwood nursing home in Plainfield. Born and raised in South Plainfield, Anna spent most of her life in South Plainfield before settling to the Cedarbrook Apartments in Plainfield in 1999. She was the co-owner and operator of the former Herbs Market in Plainfield. As a life member and the oldest member of the South Plainfield Polish National Home in South Plainfield, Anna assisted in various positions and events over several decades. Additionally, she was a communicant of St Bernard of Clairvaux and St. Stanislaus Kostka Roman Catholic Church in Plainfield, a member of the South Plainfield Senior Citizen and an excellent bowler who participated in many leagues at various lanes for most of her life. She is predeceased by her husband, Walter, and siblings; Frances, Jenny, Agnes Stanley, Helen and Joseph. Surviving is her sister; Eleanor Kaufman, devoted nieces; Gail and Nancy and nephew, Tom. Also surviving are many additional nieces and nephews. 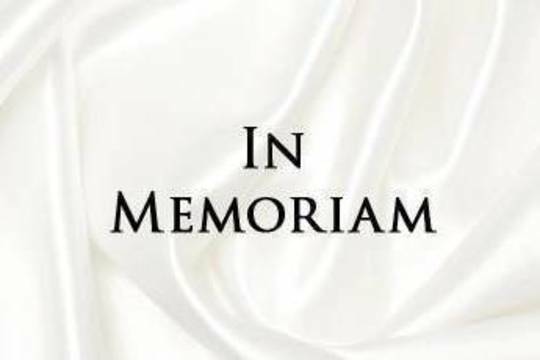 Funeral services will begin on Friday, May 19, 2017 at 10:00 AM in the McCriskin-Gustafson Home For Funerals, 2425 Plainfield Ave., South Plainfield, NJ 07080. Interment will follow in Lake Nelson Memorial Park, Piscataway, NJ. Family and friends may attend the visitation hours on Thursday, May 18, 2017 in the funeral home from 3-7 PM.